Today marks the first-ever International Women in Science Day (#WomeninSTEM) a day to celebrate the achievements made by females in all areas of science, engineering, technology, and math. I am constantly amazed and inspired by the strong, inquiring women scientists I work with here at the Marine Science Center — our volunteers, our members, our board, and our staff. I ask you to join me in honoring these women today and the important work they do every day to inspire the conservation of the Salish Sea! Lee holds a Masters of Education in Natural Science/Science Education, worked many years at North Cascades Institute, and at PTMSC oversaw the creation of a new residential programming, including Whales of the Salish Sea. Amy graduated from University of Washington, Bothell in 2007 with a degree in Interdisciplinary Arts and Sciences with a focus on environmental studies. She studied marine zoology/botany at the UW Friday Harbor Labs and served as an intern with NOAA’s Marine Mammal Program before joining Washington Conservation Corps and serving as an AmeriCorps Member with the Snohomish County Marine Resources Committee. Amy loves teaching people about marine science, and working with all groups of people to help inspire conservation of the Salish Sea. She's even collected killer whale poop! Janine began her career as a High School intern at Pacific Science Center in Seattle in 1978, where she continued to work for twelve years before serving as the founding director of the ¡Explora! Science Center in Albuquerque, New Mexico. In 1997, Janine was awarded a fellowship for graduate study at Princeton University’s Woodrow Wilson School of Public and International Affairs. After completing her Master’s Degree in Public Policy in 1998, Janine was asked to stay on as a consultant to the School in planning several initiatives including developing the Master’s Degree recruiting strategy and exploring the creation of a public policy consultancy affiliated with the Woodrow Wilson School. Subsequently, Janine worked with Leadership for Environment And Development International (LEAD International), a non-governmental organization (NGO) based in New York. With the mission to develop a global network of emerging leaders dedicated to sustainable development, Janine was responsible for the start-up creation of the US affiliate LEAD USA. Prior to joining the PTMSC team, Janine served as the Executive Director of Discovery Center of Idaho where the organization’s mission and her personal mission converged: Inspire lifelong interest and learning in science, technology, engineering and math. Betsy has a Bachelor’s of Science in Plant Science from the University of Delaware and a Masters of Environmental Studies from Yale School of Forestry and Environmental Studies. She has worked with Washington State University, Olympic National Park, ForTerra, Olympic Park Institute, and Peace Corps Madagascar. Always up for an adventure, Betsy is an outdoor enthusiast and loves to travel. She fell in love with the Pacific Northwest as a backcountry ranger for Olympic National Park and spent six years in Madagascar, one on a remote island studying forest habitat of an endangered primate, the Aye-aye. Rebecca graduated from Oberlin College in Ohio in 2013 with a BA in Biology and minors in Chemistry and Hispanic Studies. At Oberlin, Rebecca studied desert plant systematics, but since graduation she has spent equal time in deserts and rain forests. In the past two years she has worked in ecological field research and outdoor education. Recent adventures have taken her from seabird nesting islands in Southeast Alaska to the sand dunes of central Nevada. Most recently, she worked as an Outdoor Environmental Educator at YMCA Camp Colman in nearby Longbranch, WA. Katie graduated from Clark University in Massachusetts with a B.A. in Environmental Science & Conservation Biology. 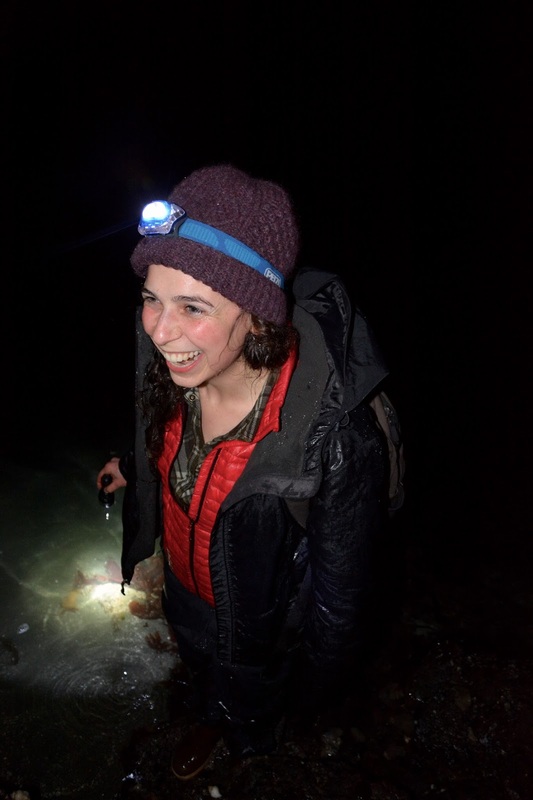 She has worked as an outdoor educator for Nature's Classroom in Maine, and as a research technician studying a variety of marine mammals at Blue Ocean Society in New Hampshire, Mote Marine Laboratory in Florida, and The Alaska Sealife Center in Alaska. 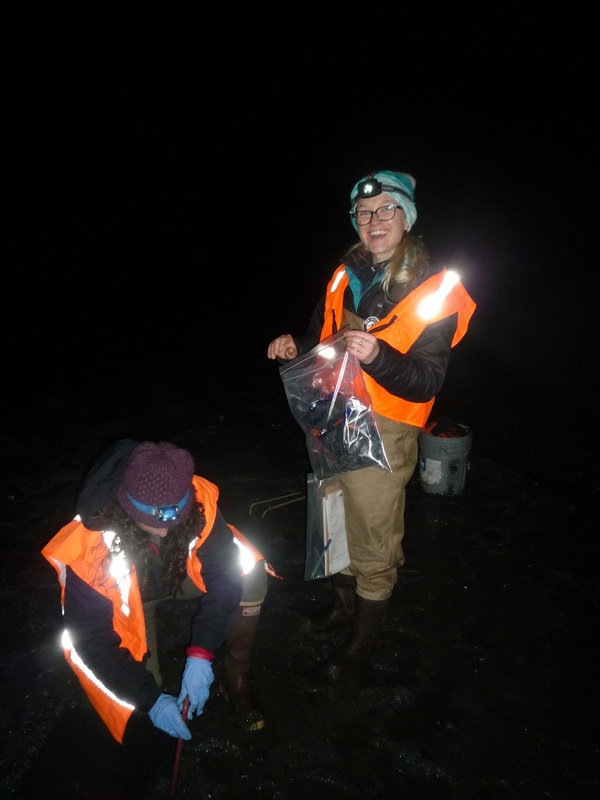 Carolyn graduated last spring from the University of Washington with a Bachelors of Science in Ecology, Evolution and Conservation Biology and a minor in Environmental Science and Resource Management. Carolyn spent a summer at PTMSC as the Marine Mammal Stranding intern and spent eight months in the San Francisco Bay Area as a Visitor Services and Environmental Education intern at the Don Edwards SF Bay National Wildlife Refuge. Zofia earned her BA in Biology from Hendrix College in Arkansas. Zofia has helped develop laboratory curricula and completed research projects on topics ranging from urban stream microbes to whale breathing muscles. Prior to her AmeriCorps term, she was a tutor and laboratory assistant at Hendrix, and guest student at Woods Hole Oceanographic Institution in Massachusetts. Nancy is our Summer Camp Director and Marine Program Educator with the Plastics Project. Nancy has been working in the environmental and experiential education field since 1992. She studied marine science at College of the Atlantic in Maine and also completed a Sea Semester program out of Woods Hole, MA studying oceanography and ocean sailing aboard the brigantine Corwith Cramer. Her work experience has included Education Director for Sound Experience aboard the Schooner Adventuress, Captain/Instructor for Northwest Maritime Center, Captain and Mate for Salish Sea Expeditions, and Field Instructor at Olympic Park Institute. She has also spent time working for Outward Bound and NOLS as a skipper and instructor. Nancy loves to combine her passions for sailing, marine science, and working with youth. ALISON RILEY is the Marketing & Development Coordinator at the Port Townsend Marine Science Center. Labels: americorps, citizen science, Gone Green? Go Blue! What an impressive and inspiring group of women leaders in science we have here at PTMSC! How lovely to celebrate their achievements!